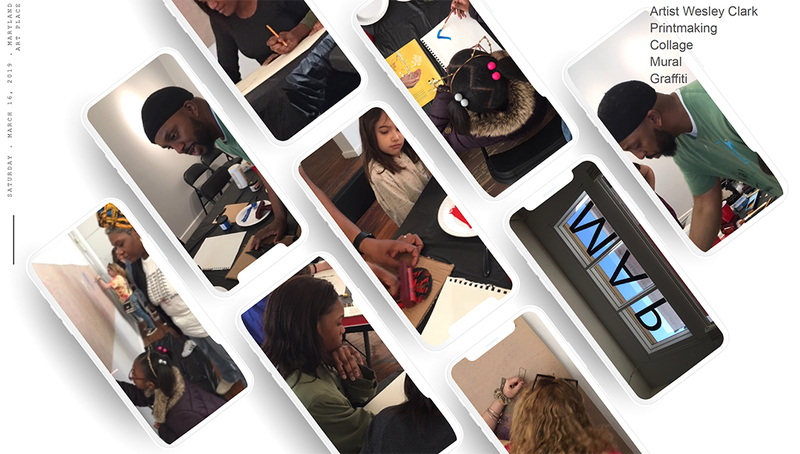 BALTIMORE, MD (March 22, 2019): The Deacon Jones Foundation and Maryland Art Place (MAP) are pleased to announce a Young Emerging Artists Education Grant has been awarded to Baltimore in support of local programming to engage and enrich the lives of students. Founded in 1997, The Deacon Jones Foundation was created to assist young people and the communities in which they live. The primary objective is to develop leaders. To give young, talented and intelligent students the tools to become positive role models. The Deacon Jones Foundation believes that artistic expression of all types is an integral part of a student’s education, offering each individual a way of communicating that is a valuable asset throughout their lives and the lives of those they touch. Because of the generosity of the National Football League, Jackson Family Wines, and other sponsors, The Foundation is able to support educational programs that are centered on the arts at schools and art institutions throughout the country. The works of the students will be exhibited during Kid Out of Order (KIDOOO) at MAP beginning Friday, April 5, 2019 at 7:00PM. This is an extraordinary opportunity for young artists to exhibit their work in a major arts venue. This expansion of MAP’s student programming is in conjunction with Out of Order (OOO), MAP’s 22ndannual benefit exhibition and silent auction. Art installation day is Friday, March 29 from 7AM-Midnight for OOO and Saturday, March 30 from 11AM-4PM for KIDOOO. OOO takes place on Friday, April 5 at MAP from 7PM-10PM. Guests can browse artwork from over 250 artists while enjoying an open bar and light fare. Tickets to OOO are $45 presale ($45 at the door). For parents/guardians and youth tickets are $25 presale ($30 at the door). Participating artists receive free admission. MAP is located at 218 West Saratoga Street, in the Bromo Tower Arts & Entertainment District. For more information on MAP, click here. To learn more about The Deacon Jones Foundation, click here.